B.S. Reynolds Co, Washington, DC. 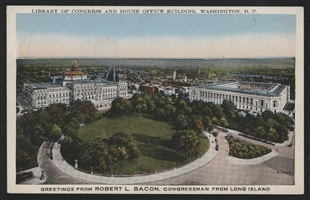 The completion of the first House Office Building in 1908 was part of a transformation of the Capitol complex that took place around the turn of the century. 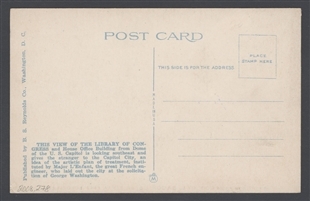 The changes began with the construction of the Library of Congress Jefferson Building which opened in 1898, and continued with this building a decade later. The two structures helped modernize work on the Hill, providing space for Congressmen and the Congress’s books, all of which were long crowded together in to the Capitol. 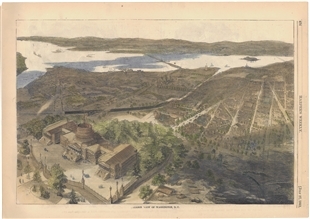 Here, the two newer buildings are shown from an aerial perspective on a postcard sent by Congressman Robert L. Bacon. Balloon View of Washington, D.C.